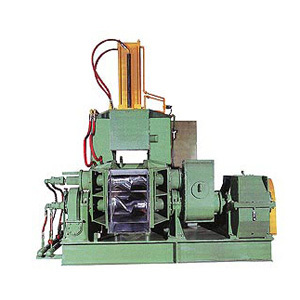 Jian Yi Machinery is one of the leading rubber machine manufacturers and suppliers in Taiwan. We provide rubber kneader machine and dispersion kneader machine to meet customer's standard. The rubber kneader machine has high performance for mixing a variety of materials ranging from low viscosity adhesive to high viscosity polymers. Dispersion kneader can be used in both rubber as well as plastic industries. With dispersion kneader machine's unique design through material flow & controlled mixing, a uniform compound mixture with best dispersion of materials is achieved. Dispersion Kneader is suitable for mixing single or numerous raw materials used in rubber, plastic & chemical industries. It can be with or without PLC controlled operation. Depending on the capacity and other features, this machine can be used for material mixing, ranging, from low viscosity adhesives to high viscosity rubber & plastics.